Horizon locksmith provide 24 hour emergency locksmith columbia md services for any type of emergency locksmith columbia md situation with no extra charges, from lock out house to car key made. Whether you are lockout of house, lockout of car or key made CALL US NOW! 301-852-6462!! 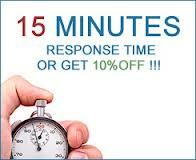 Horizon Locksmith provide 24 hours, 7 days a week with 15 minutes response time! With Professional, Fast and Reliable locksmith services at very affordable locksmith prices!! Horizon Emergency Locksmith Services provide Auto locksmith and car locksmith services for car lockout, auto lockout, truck lockout, trunk lockout. 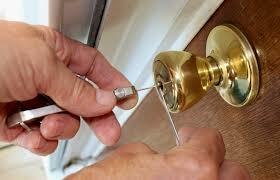 Residential locksmith services for home lockout, apartment lockout, condo lockout, house lockout. Commercial locksmith services for business lockout, office lockout, file cabinet lockout. Automotive locksmith services for car key made, car key programming, lost car keys. Lock Change: Starts at $45.00&up. Fresh Installation: Starts at $65.00&up. Safe Opening: Starts at $90.00&up. New Car Key: Starts at 90.00&up. Key Programming: Starts at $75.00&up. Ignition Change: Starts at $125.00&up. Key Extraction: Starts at $75.00&up. Annapolis Junction | Arbutus | Arundel Mills | Baltimore | Beltsville | Brookeville | Burtonsville | Catonsville | Clarksville | Cloverly | College Park | Columbia | Dayton | Elkridge | Ellicott City | Ferndale | Fort Meade | Fulton | Gambrills | Glen Burnie | Glenwood | Greenbelt. Halethorpe | Hanover | Highland | Jessup | Laurel | Linthicum Heights | Marriottsville | Maryland City | Milford Mill | Millersville | North Laurel | Odenton | Olney | Scaggsville | Severn | Silver Spring | South Laurel | West Friendship | White Oak | Woodbine | Woodstock.